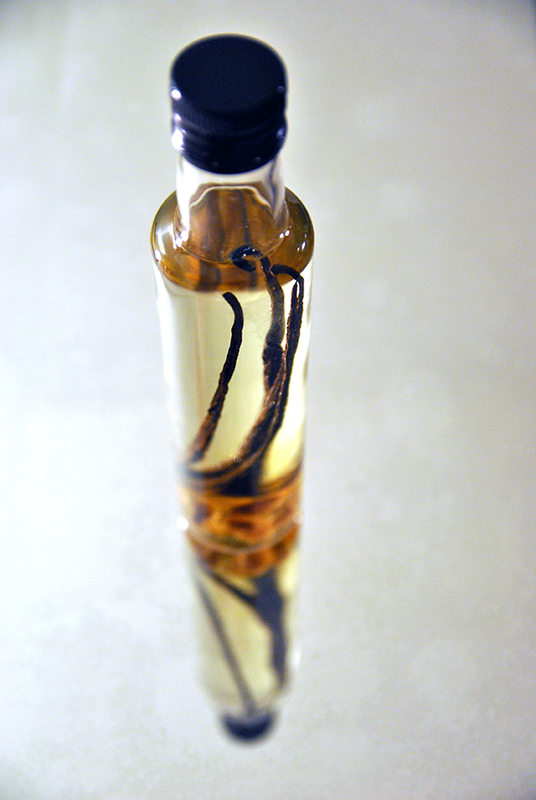 I love baking cakes and this real vanilla extract comes in handy on many occasions. It gives flavor and moisture to dry cakes (works terribly well on spice cakes) and seasons a warm drink in the evening. 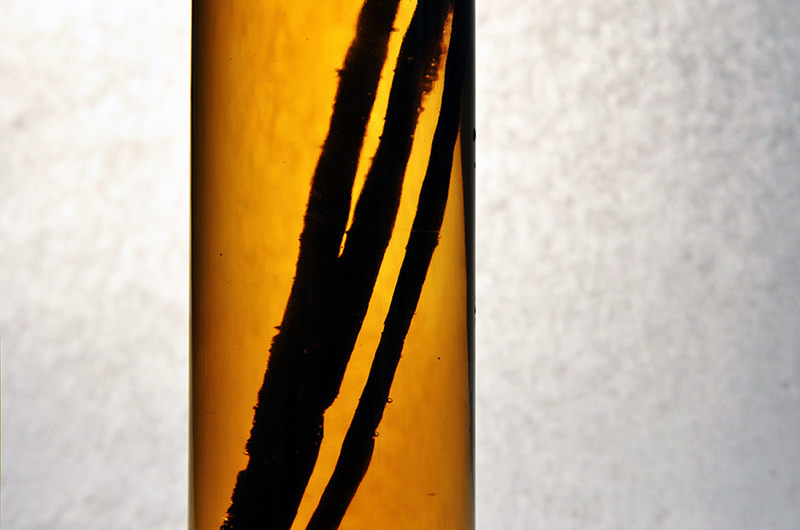 🙂 Vanilla is often thought to be a winter time spice but I’m making this extract in March in order to be able to use it for a multi-purpose spruce shoot syrup in spring. 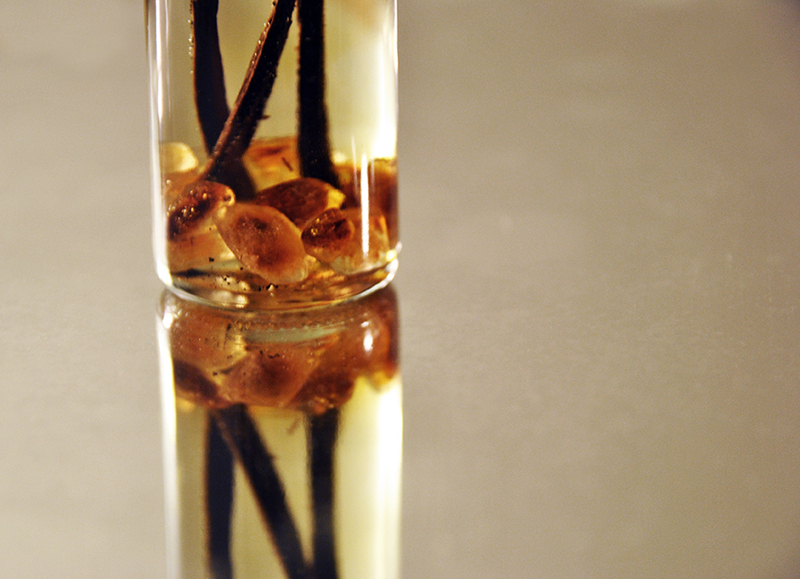 I keep the vanilla beans in the extract because I like a strong vanilla flavor and the way they look in the bottle but you can take them out after three months and pour the extract through a piece of cotton fabric to get the vanilla seeds out if you like a clear golden liquid. These two pictures give a good idea of the color change that happens during the extraction process.